Eugene Lyons (July 1, 1898 – January 7, 1985) born in Belarus, of Jewish parents who emigrated to the U.S., was raised nominally Jewish, but became a committed Socialist and even Soviet Communist fellow-traveler. Based upon firsthand eyewitness experiences as a journalist (and one-time Stalin sycophant, even granted a rare interview with the murderous despot), Lyons evolved into a foremost thoughtful and vociferous critic of Socialism-Communism, including all its manifestations, from the “Soviet experiment” in Russia, to the global impact of Communist depredations and conspiracy, including within the U.S. (see this “evolution” in Assignment in Utopia and The Red Decade). What we see in Russia is socialism, full-blown and undeniable. That is the inevitable end-product of Marxist fallacies. No matter how honestly you may disown the Soviet reality, it is inherent in a system that puts political and economic power into the same hands, that outlaws private ownership, individual initiative, and a genuinely free market. They [free market champions] deny, moreover, that “democratic socialism” is possible, however sincere the intentions of its advocates may be, because a state monopoly of both political and economic life could not function without dictatorial powers and the suppression of criticism. Being mainly small traders, they fell into the categories of capitalist and bourgeois elements told off for extermination. The groups in Russia officially denied a vote, the right to rations and other privileges of full citizenship, during the 1920’s and early 1930’s, were known as lishentzi. Thirty-five percent of all Jews were in this outlaw class, as against 5 or 6 percent for the whole Soviet population. While Yiddish is a legal minority language, Hebrew is forbidden and Zionist views are punished as treason to the U. S. S. R. As for religious Jews-and at the outset they were the great majority-their life has been one long ordeal of persecution. It is no accident, therefore, that hundreds of thousands of Jews are fleeing from Soviet-dominated regions behind the iron curtain. At the end of 1945 the Soviet government gave certain categories of Polish Jews who found themselves within the Soviet frontiers the choice of accepting Soviet citizenship or leaving. All of them, numbering about 150,000 and including thousands of Communists, chose to depart. They had no illusions about the troubles that awaited them outside, but anything seemed to them preferable to life in Stalin’s country. It was in effect a poll of Jewish sentiment about the Soviet paradise and it registered unanimous opposition. Lyons also addressed the perversely “complementary” insidious antisemitic canard that “that Jews are somehow to blame for communism in Russia and its fifth column here [in the U.S.].” His pellucid 1947 essay debunking what Lyons termed a “grotesque…malicious legend,” was originally published in the April, 1947 issue of Pageant magazine, and a year later placed into the Congressional record by Congressman Abraham Multer, who was a member (along with Lyons) of the American Jewish League Against Communism. The text of this somewhat inaccessible essay is reproduced, in full, below to make it more readily available to the public. In the fight against communism, American Jews—writers, labor leaders, public figures, Jewish organizations and the Jewish press have played a leading and effective role, far out of proportion to their numbers in our population. If, despite this, the silly myth of “Jewish communism” persists in some quarters, it only proves the extent of human credulity. It is a myth brought to full flower by Nazi propaganda, part of the evil heritage of Hitlerism. People familiar with the history of Bolshevism are inclined to dismiss it contemptuously as too grotesque to be refuted. I share their contempt, but I am convinced that the nonsense should be thoroughly and openly debunked. The malicious legend that Jews are somehow to blame for communism in Russia and its fifth column here is a weapon in the armory of intolerance. With the pendulum of American sentiment swinging against everything Soviet abroad and at home, there is danger that weak and prejudiced minds may translate anti-communism into antisemitism. I have some warrant for attempting to discuss the relation between Judaism and communism, since I am a Jew who has devoted a lot of study to the Communist movement. Because of books like Assignment in Utopia and The Red Decade, because I have fought the Communists during years when it was neither a fashionable nor a comfortable avocation, I flatter myself that I am in the list of American “red-baiters” earmarked for “liquidation” comes the revolution. But when the tumbrils roll to the red squares of American cities, I know I shall be part of a large and gallant Jewish company. George E. Sokolsky will be there, and Benjamin Stolberg, Isaac Don Levine, David J. Dallin, Bertram Wolfe, Max Nomad, Lawrence E. Spivak, Louis Fischer, Benjamin Gitlow, Sydney Hook, Leon Dennen, Sol Levitas, Simeon Strunsky, Jay Lovetone, Morrie Ryskind, Harry Lang. These are but a few of the many Jewish writers and journalists who have been fearless in their assaults on Stalinism and its American agents. The editors of virtually all Jewish newspapers would be there with us, the octogenarian Abraham Cahan, editor of the world’s largest Yiddish paper, the Jewish Daily Forward, in a place of honor. Though there are some 5,000,000 Jews in the United States, there is only one Jewish Communist daily, the Freiheit, with a circulation of about 12,000; the Forward, by contrast, has 140,000. The whole of the Jewish English-language press (American Hebrew, Jewish Frontier, Commentary, etc.) is vigorously anti-Communist. My colleagues in liquidation also would include practically all Jewish labor leaders, with David Dubinsky, head of the International Ladies Garment Workers Union, Julius Hochman, head of the dressmakers, and Max Zaritsky, head of the cap and millinery workers, getting special attention. The United Hebrew Trades, representing the vast majorityof organized Jewish workers, has been militantly anti-Communist at a time when the general American labor movement was crawling with Communist borers-from within. I am not implying that those red tumbrils would be filled exclusively with Jews. Plenty of deserving Christian culprits will be there, including seasoned “red-baiters” like Max Eastman, William Henry Chamberlin, Dr. John Dewey, and new recruits to their ranks like W. L. White and Brooks Atkinson. Yet the prominence of Jews in the top ranks of anticommunism is a remarkable fact, considering that their race is only a 3.5 percent minority in the American population. Neither do I wish to imply that there are no well-known Jews on the pro-Soviet side. There are writers like Maurice Hindus, George Seldes, Mike Gold, Lillian Hellman, and Albert Maltz; labor men like Ben Gold, Abram Flaxer, Lee Pressman; personalities in the arts and sciences like Jo Davidson, Herman Shumlin, Dr. Edward Barsky, Edward G. Robinson. But these would amount to a negligible minority in the Christian host. The outstanding pro-Communist and pro-Soviet writers and public figures in this country, it happens, have been overwhelmingly non-Jewish. I set down, almost at random as they come to mind, some of the names most frequently associated with Soviet apologetics, party–line propaganda or Communist innocent–front organizations: Albert Rhys Williams, Anna Louise Strong, Walter Duranty, Louis Adamic, Prof. Frederick L. Schuman, Dr. Arthur Upham Pope, Corliss Lamont, Dr. Jerome Davis, Robert Morss Lovett, Rockwell Kent, Paul Robeson, Muriel Draper; Joseph E. Davies, Vito Marcantonio, Col. Evans Carlson, Frederick Vanderbilt Field, Rev. Harry Ward, Dr. William J. Schieffelin, Dr. Walter Rautenstrauch, Bishop Francis J. McConnell, Rev. Wayne White. The list could be extended to book length. But the sampling should suffice to disprove the assumption that Jews have a special tendency toward the Communist orbit. For reasons that are sociological rather than racial, Jews do hold an important place in the rank-and-file membership of the official Communist Party in the United States (not in other countries). But in the overall Communist movement, including the huge and tremendously important periphery of fellow travelers, they are outnumbered perhaps 50 to 1. The same is true for the Communist Party high command. There are a few Jewish leaders, notably Jack Stachel and Israel Amter, but the bulk of the leadership—William Z. Foster, Eugene Dennis, Robert Thompson, Robert Minor, Elizabeth Gurley Flynn, John Williamson, Earl Browder (temporarily expelled, but in fact still a leader)—is non- Jewish. This is not exceptional. It reflects the situation throughout the world. Thorez and Duclos in France, Togliatti in Italy, Pleck, and Ulbricht in Germany, Bierut in Poland, Tito in Yugoslavia, Dimitrov in Bulgaria are Christians. In the Near East and north Africa, the few remaining Jewish Communist leaders are being forced out, now that the Kremlin’s foreign policy calls for all-out support of Arab, Moslem, and anti-Jewish elements in those areas. It should be emphasized that the department of American life in which Communist penetration has been deepest and where it is most dangerous, particularly in case of war, is the organized labor movement. But here the pro-Communist leadership-typified by Harry Bridges, Mike Quill, Freddy Myers, Donald Henderson, Reid Robinson, James Matles, et al.—is strikingly non-Jewish, whereas the opposition to that leadership, typified by David Dubinsky, Morris Muster, Jack Altman, counts many Jews. Perhaps the foregoing summation is weighted in favor of the Jews, though I am trying to be objective. 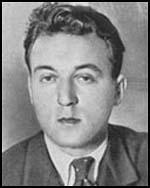 But even if it is heavily discounted, the unfairness of the Jewish Bolshevism charge still remains in clear relief. This despite the fact that the membership—not the leadership–of the American Communist Party itself in this country is strongly Jewish. Exact figures are not available. Gitlow, in his book I Confess, put it at about 15 percent. Other estimates are as high as 50 percent. In New York City, where about one-fourth of the whole party membership is concentrated, the Jewish contingent probably exceeds 50 percent. Let us keep in mind, however, that we are dealing with a party which claims no more than 80,000 members and whose actual paid up membership in good standing is less than half the number; whose official newspaper, the Daily Worker, which is circulated all over the country, has only some 25,000 readers. Even a substantial Jewish percentage of that party therefore represents only an infinitesimal fraction—of the American Jewish population—a fraction so minute that in the larger picture of Jewish life it fades into nothingness. It is unfair and mischievous to blame the Jewish community of 5,000,000 for the handful attracted by the Communist Party. It is a minority disowned, disliked and at best pitied by American Jewry as a whole. That infinitesimal minority is concentrated in a few cities, largely in immigrant areas. It is emphatically untypical of American Jews as a whole, who are deeply individualistic in their economic ideas, deeply democratic in their political preferences. The Jewish workers attracted by the Communist Party are mostly Russian in origin. They have a natural nostalgic emotion for anything Russian; unhappily that includes Sovietism, about which they have rose-tinted illusions. The czarist dynasty meant for them pogroms and discrimination. Its political heirs, though tyrants themselves, unavoidably have a certain glamour in the eyes of these refugees from persecution. Against this background the remarkable fact is that so few American Jews have swallowed the Communist line, trimmed as it is with fake-idealist and race-equality bait. Another significant point: If some Jews are snared by the Communist Party, they do not long remain snared. The turnover in the Communist Party here is fantastically high-averaging about 40 percent a year. A member of 4 or 5 years’ standing is a veteran. This means that workers who take the bait do not remain on the hook very long. The Jewish community in the United States has during many generations developed great social and philanthropic organizations: the Arbelter Ring (Workmen’s Circle); the Gewerkschaften (United Hebrew Trades); the Jewish Labor Committee; B’nai B’rith; the American Jewish Committee. Taken together, these talk for the millions and they are not merely not Communist but anti-Communist. Totalitarianism in any form, in the final analysis, is alien to the spirit of the Jewish people, who are anything but collectivist. Despite the aberrations of a few, the average Jew knows in his bones that as a minority group Jewry has no chance for equality and normal existence except in liberal democratic societies. How did the myth that communism is a Jewish movement arise? To begin with it was deliberately fostered by the most reactionary elements in Russia, the so-called Black Hundreds and their ilk. They sought to turn the antisemitism of the darkest masses in their tragedy-ridden land against the Bolsheviks by identifying them with Jews. They even labeled Lenin, who came of the lower Russian nobility, a Jew. Because a great many Jews. and in particular Leon Trotsky, did play a prominent role in the revolution, the propaganda took. Then came Hitlerism in Europe. With diabolical skill the Nazis expanded the lie about Jewish Bolshevism and gave it universal circulation. The job begun by the Black Hundreds was thus finished by the brown marauders—and distorted minds everywhere, America included, soaked up the malicious invention. The delusion that the Kremlin regime is dominated by Jews is one of the mainstays of such minds. Let us therefore examine it briefly. Karl Marx, whom the Communists claim as the father of their faith, would hardly acknowledge the totalitarian set-up in Russia today as his own progeny. In any case, he was a Jew—a Jew who was baptized as a child, denied his racial heritage and at times wrote like a rabid antisemite. His most prominent associate and alter ego, Friedrich Engels, was a Christian. Not one of the social philosophers upon whom Marx and Engels based their system—St. Simon, Fourier, Hegel, etc.-was Jewish. In czarist Russia, the Jews were a persecuted minority, living in restricted areas, denied the rights of full citizenship. Like other minority races, they could have no love for the established order and were drawn to the revolutionary movements. There were many Jews in the ranks of revolution in the czars’ empire for the same reason that there were many Georgians-Stalin among them—and Armenians. But even in dark Russia and in the face of terrible provocation to extremism, the Jews tended to join the moderate, democratic groups rather than the extremists. Their largest organization was the Bund, a moderate- socialist alinement. In the actual revolution of 1917, a galaxy of brilliant Jews emerged in the Bolshevik camp—Trotsky, Zinoviev, Kamenev, Radek, Uritzky, Litvinov and others. Because their counterrevolution against Kerensky’s democratic regime succeeded, history has magnified these names until they seem to fill the whole stage of that period. The anti-Jewish propaganda conveniently forgets that Jews were even more numerous and more prominent in the Menshevik and Social Revolutionary camps—in the groups, that is, opposing Bolshevism. Within the Bolshevik high command, Jews were always a distinct minority. The founders of the party and its most active leaders from 1903 to 1908 were Lenin, Malinovsky, Skvortzev-Stepanov, Vorovsky, Professor Pokrovsky, Bonch-Bruchevich. Rumyantzev—not a Jew among them. Only much later some Jews began to achieve posts of leadership. Of the 124,000 Communist members in the Russian ruling party in 1918, the first Soviet year, only 3,200 or 2.6 percent were Jews. Today the percentage is almost normal in relation to the Jewish population in the country. After the revolution, and especially since Stalin’s rise to power, Jews have tended to disappear from the uppermost Soviet hierarchy. There is now only one, Lazaar Kaganovich, among the 14 who make up the all-powerful Politburo which rules Russia and the world Communist forces. Jews, it is too often forgotten, held first place among the victims of the revolution. Being mainly small traders, they fell into the categories of capitalist and bourgeois elements told off for extermination. The groups in Russia officially denied a vote, the right to rations and other privileges of full citizenship, during the 1920’s and early 1930’s, were known as lishentzi. Thirty-five percent of all Jews were in this outlaw class, as against 5 or 6 percent for the whole Soviet population. While Yiddish is a legal minority language, Hebrew is forbidden and Zionist views are punished as treason to the U. S. S. R. As for religious Jews-and at the outset they were the great majority-their life has been one long ordeal of persecution. It is no accident, therefore, that hundreds of thousands of Jews are fleeing from Soviet-dominated regions behind the iron curtain. At the end of 1945 the Soviet government gave certain categories of Polish Jews who found themselves within the Soviet frontiers the choice of accepting Soviet citizenship or leaving. All of them, numbering about 150,000 and including thousands of Communists, chose to depart. They had no illusions about the troubles that awaited them outside, but anything seemed to them preferable to life in Stalin’s country. It was in effect a poll of Jewish sentiment about the Soviet paradise and it registered unanimous opposition. The antisemitic legend that the Soviet regime is somehow Jewish thus makes no more sense than the related myth that American communism is Jewish.